If ever there were a case to demonstrate how arbitrarily the death penalty is meted out in the United States… this would be that case. And the least they could have done was given the public some closure by testing the DNA evidence so we could KNOW whether or not Lee was guilty beyond a reasonable doubt, but I guess Arkansas authorities were too busy trying to hurry and execute him before his death warrant expired. 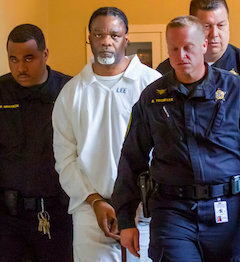 Rushing and the need to “win” definitely won over justice when Ledell Lee was executed. You wonder how the authorities live with themselves when they deny the simplest of requests that might exonerate a condemned. The need for a win trumps justice nearly every time. Apparently, there are significantly fewer souls out there than there are people.